Through my registered company, The Kitchen Ninja, I do quite a number of things and plan to do even more in the future. 2. Catering for all types of events – big and small. 3. Pop-up restaurants coming up soon. 4. I also deliver hearty meals to homes. 5. In the future I plan to also prepare and pack lunchboxes for school and work. 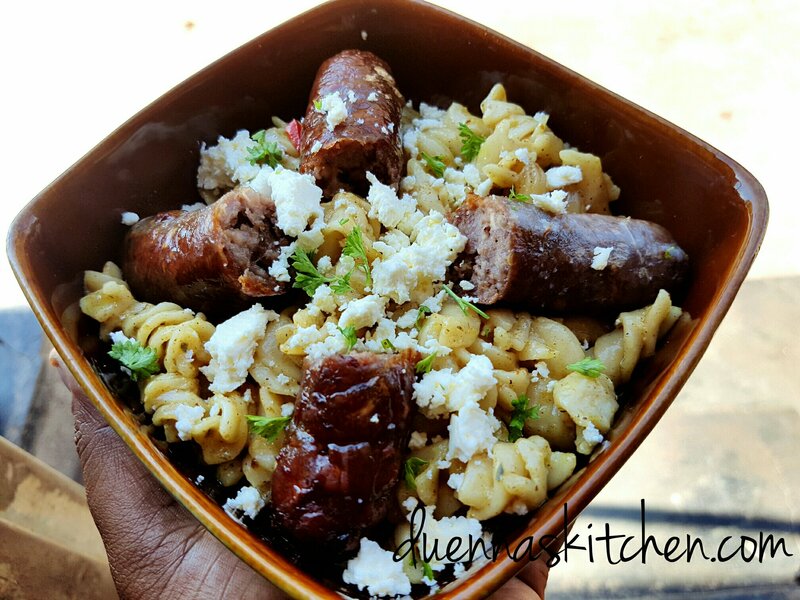 Pasta salad, Feta amd boerewors. Cooked the pasta in vegetable stock and then fried onion, light Greek salad and veriperi garlic sauce. Added them to the pasta after cooling then I plated. Wors I cooked in the oven. Lazy meal! 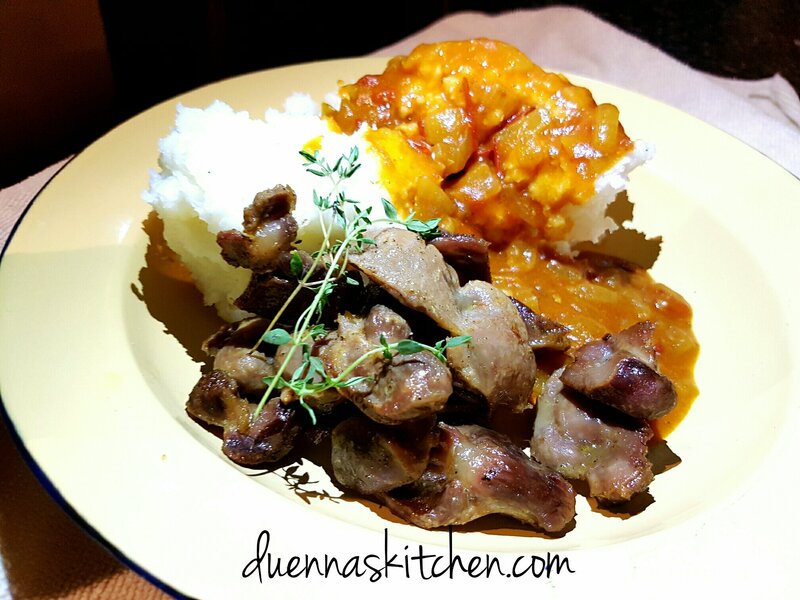 I started this blog not only to tell the world how much I love food, but also to use it to get to my dreams quicker — am working on qualifying as a chef, launching my own restaurant and then becoming a food editor for a renowned publication. This will ultimately allow me to marry my journalism skill and passion for food. DISCLAIMER: The nature of my 9-5 job is quite demanding. That often means I am not able to blog regularly. But, dont despair, am always on social media so do hit me up. I love engagement. 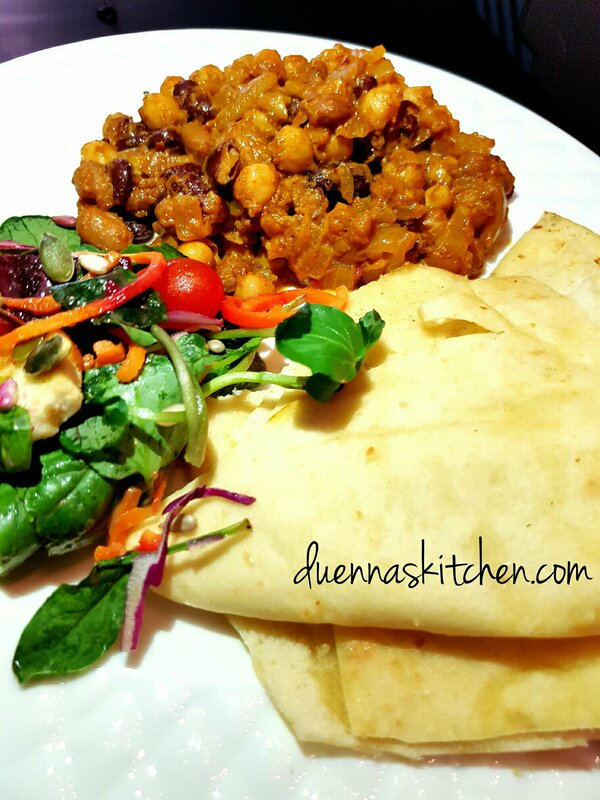 Two bean and chickpea curry with garlic Naan bread and salad.